Sun and clouds mixed. High 56F. Winds SE at 10 to 15 mph..
PHOENIX - Thomas Ray "Skid" Roe, of Phoenix, Arizona, died March 21, 2019, two days short of his 85th birthday of natural causes. He was born March 23, 1934, in Wood Lake, Minnesota, the son of the late Raymond C. and Eloise Kernal Roe. He was the eldest of 7 siblings. His family moved to Montana when Tom was six month old and they lived on a farm near Fairfield, Montana for many years. The family later moved to Great Falls. In 1955, Tom married Elsie M. McGuffin. They had three sons and raised their family in Great Falls, but spent many summer adventures at their cabin in the Little Belts. Elsie passed away in 1981. Tom later remarried. 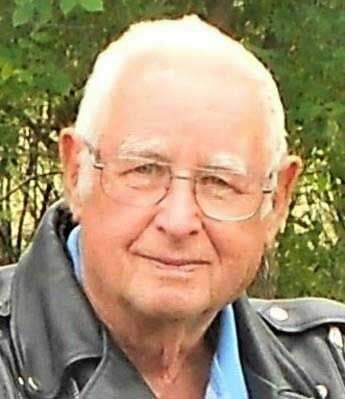 He served in the U.S. Air Force as an airplane mechanic during the Korean War and he later served with the Montana Air National Guard. He retired from the National Guard in the1980's. Tom was active for many years in the Masonic Lodge in Montana. Tom is survived by his three sons from Elsie: Curtis, Casey, and Clifford Roe. He is also survived by his brother, Arley Roe of Gainesville, Florida and his sister, Nina Testa of Henderson, Nevada. Mr. Roe was preceded in death by his parents; his wives; and his brothers; Joe, Larry, Dennis and sister; Ruth. Cremation has taken place and no services are planned.